Jay Electronica: Same Diss, Different Meek? Aside from Dr. Dre, Jay Electronica is known for being the industry’s next best album troll. His long awaited debut, Act II: Patents of Nobility was announced nearly six years ago. Six years. 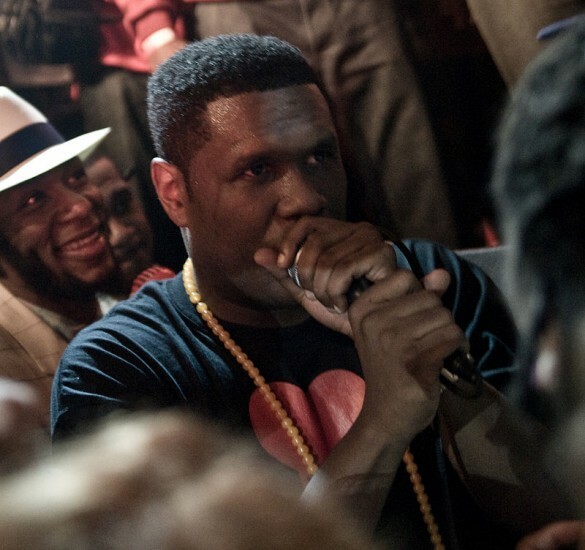 Footage recently surfaced of Jay Electronica’s show at London nightclub XOYO. As the mysterious MC took a brief intermission from his rather un-mysterious setlist, which was filled with aging material, he still managed to stir up the water. Previously known for having zero altercations with other rappers, Jay ended his peaceful reign by throwing shade at his hip-hop colleagues: Early in his performance, the Louisiana lyricist blurted into the mic, “You might be the 6 God, but I am the God.” Taking clear shots at Drizzy, listeners are left to wonder if there were any premeditated motives behind Jay’s statement, or if it was solely the alcohol talking. Later in the night, he took a second jab, this time aiming at North Carolina native J.Cole. “I’m sorry, but J. Cole aint got bars like this,” he said. Now, I can’t speak for everyone, but I feel like Jermaine is one the most humble cats in the game. What could him and Jay possibly have against another? The two are label mates and have even been on the same Reflection Eternal “Just Begun” record together. With so long between albums, this might be a desperate attempt for Jay Elect to stay relevant: Perhaps he’s taking a lead from Meek Mill, and using small business tactics to get attention. Don’t forget that, in July, Jay’s manager took to Twitter to announce, “Just got the green light from Hova the God.” Trolling yet again, the tweet ended up being in reference to the NOLA Hip-Hop Awards. But hey, when it’s been six years waiting, why should we assume your announcements are related to new music?